Check the link below for more details and photos. I’ve had the opportunity to explore a new Kindle and fully agree with the review. Mr Glotzbach said that the company did not believe that the new e-mail feature would raise any privacy concerns. “We’re not creating any new information, we’re leveraging information that is already there,” he said. Google already analyses the words used in e-mail messages in order to place relevant advertising against them. Consistent with Eric Schmidt’s recent comments: “’I actually think most people don't want Google to answer their questions,’ he elaborates. ‘They want Google to tell them what they should be doing next.’"
Keith Coleman, Google’s product management director, told me in an interview that Google has been working to solve the e-mail overload problem for the better part of a decade. Microsoft Microsoft Bing is now available as a downloadable application for the Android platform. In late 2009, when Microsoft introduced a downloadable application for the iPhone from Apple, it set off some excitement in the tech world. For years, Microsoft and Apple had been head-to-head in the war for personal computing. On Monday, the tech world was buzzing again with an announcement by Microsoft’s search group, Bing, that the company has released an application for the Android platform from Google. The move could be seen as an encroachment on Google’s turf, as the two companies compete directly on a number of search platforms. Now the question would be, how could Cisco help Skype turn a profit, a task that eluded its previous big-pocketed owner, eBay. In other words, how could Cisco make Skype’s inexpensive services less-inexpensive? Perhaps the most straight forward way would be to charge for the use of Skype’s video conferencing , but that might be the fastest way to erode Skype’s user base. Skype has begun offering premium Skype video-conference services to mobile devices, such as Apple’s iPad. But the challenge remains converting its massive subscriber base into paying phone users. It’s possible Skype could sell advertising, but the revenue from internet ads is not likely to justify a $5 billion deal. But the new design doesn’t appear to address the biggest problem with Chatroulette: the number of people using the site solely to share explicit images of themselves with total strangers. Chatroulette founder Andrey Ternovskiy has spoken out against people exposing themselves on the service, and this summer he wrote an open letter on the site saying that he would contact law enforcement with information about offenders. There has been speculation that Chatroulette would implement filters to remove such content. But a look at the site makes it clear that this hasn’t happened. “It’s still the same wild, very sick world we’ve come to know and never go near,” writes Gary Cutlack at Gizmodo. The acquisition, coming just days after Google's previous social acquisition, was announced Monday on SocialDeck's website. Financial terms weren't disclosed. The Canadian start-up has launched several games titles for Facebook, as well as Apple Inc.'s iPhone and Research In Motion Ltd.'s BlackBerry devices. SocialDeck's games platform technology enables simultaneous game play across multiple mobile devices and social networks. The SocialDeck deal is one of several acquisitions in the past month through which Google hopes to build a social-networking service to counter Facebook, which recently topped more than 500 million users and is aggressively moving to develop its advertising business. KT, South Korea’s largest fixed-line operator, and the country’s second-largest mobile carrier by revenue, unveiled Monday plans to offer its “Identity Tab” tablet PC in early September. KT, an exclusive supplier of Apple’s iPhones in South Korea, has teamed up with Kosdaq-listed portable network device maker Enspert to make the device. According to KT, the device weighs 445 grams, features a one gigahertz CPU, and a 7-inch liquid crystal display. It also has a 3 megapixel camera and 8-gigabytes of memory storage. Users can download content from the firm’s own online application market, called Olleh Market, as well as from Google’s Android Market. Google will publish entire stories from the AP in the news section of its website. That’s a departure from its usual practice of showing snippets from stories posted on thousands of other websites. Google maintains those excerpts qualify as “fair use’’ under copyright law, exempting it from licensing fees. The Google deal is part of AP’s effort to bring in more revenue from the Web to help offset a drop in revenue from newspapers and broadcasters. Google Gone from JavaOne; see the link below for more posturing etc. "Like many of you, every year we look forward to the workshops, conferences and events related to open source software. In our view, these are among the best ways we can engage the community, by sharing our experiences and learning from yours. So we're sad to announce that we won't be able to present at JavaOne this year. We wish that we could, but Oracle's recent lawsuit against Google and open source has made it impossible for us to freely share our thoughts about the future of Java and open source generally. This is a painful realization for us, as we've participated in every JavaOne since 2004, and I personally have spoken at all but the first in 1996. "We understand that this may disappoint and inconvenience many of you, but we look forward to presenting at other venues soon. We're proud to participate in the open source Java community, and look forward to finding additional ways to engage and contribute." Big-name manufacturers will unveil their answers to the iPad this week as Apple is due to launch a raft of new products. Samsung and Toshiba are expected to lead a tablet charge at the IFA consumer electronics show in Berlin on Thursday, hours after a San Francisco media event where an annual update of Apple’s iPod range is expected. If you’ve ever clicked your mouse to man age a virtual zoo, cultivate a farm, or invite Facebook friends to join your mafia clan, you’ve been part of what is the hottest trend in video games. Called “social gaming,’’ these online games tend to be played within Facebook’s site or on a mobile phone, in just a few stolen moments here and there (as opposed to the hours of dedicated play required to master a typical video game). You’re encouraged to invite your friends to play with you, which helps the best games reach vast numbers of people with little money spent on marketing. And while the games are free to play, companies are generating millions of dollars in revenue by charging a few bucks here and there to purchase a virtual tractor that will help you tend your crops, or add a shaggy Himalayan yak to your online menagerie. Angstro builds apps to easily exchange information among social services across the Web, pulling in data from social sites including Facebook, LinkedIn and Twitter. Over the past few months, it has invested in Zynga, which makes online games that people play on social networks, and acquired Jambool, which builds apps, virtual goods and virtual currency for social networks. Google also acquired Slide, which makes apps for social networks, and Max Levchin, a Slide and PayPal co-founder, now works at Google. Earlier this year, it bought Aardvark, for getting questions answered by people in your social network. Billionaire Paul Allen has made major forays into cable television and sports teams since leaving Microsoft Corp. more than two decades ago. Now he's adding another pursuit: patent litigation. Mr. Allen, who co-founded Microsoft with Bill Gates, on Friday sued Apple Inc., Google Inc. and nine other companies asserting they are using technology developed about a decade ago at his now-defunct Silicon Valley laboratory. Mr. Allen, a pioneer of computer software, didn't develop any of the technology himself but owns the patents. So again, if Google knows all of this it then shouldn't it d be able to help us get rid of it? Granted we might not be able to delete every shred of information, but getting to the bulk of it is a good start. Of course, there is one other answer. Google and Facebook could stop invasively data-mining and selling our private lives to the highest bidder. But that would be asking them to change who they are. And that's not fair. So have you read that Google just announced a new Gmail service that lets you make free calls? It’s true – you can now use Gmail (and AIM) to make unlimited calls anywhere in the US via the web – for free. Now there’s a brilliant idea. Of course, I’m not sure if it occured to anyone over there, but the ability to make free calls, from over the Internet in IP-accessible fashion has a huge security impact. Not only that, but it’s a huge win for robocallers. How do I know this? Because we’re experiencing the pain of the denial of service from robocalling quite vividly. Adjusted for one-time items, earnings fell to 6 cents a share, narrowly missing the 7 cents a share expected on average by analysts polled by Thomson Reuters. Chief executive Ron Hovsepian said the revenue came in low mainly because customers were uncertain about the ongoing review by the company’s board to seek ways to enhance shareholder value. The board began the review in March after rejecting a $2 billion takeover offer from private equity firm Elliott Associates LP. This week, Microsoft began rolling out the first functionality updates to its online office productivity suites, Office Web Apps (OWA) and Facebook Docs. OWA gets a number of requested new features, including printing (from Word Web App), Excel Web App charting and auto fill, and PowerPoint clip art and themes support. And Facebook Docs, essentially a version of OWA that runs on the Facebook platform, gets document tagging and search functionality. By now you might have heard: Apple is holding an invite-only news media event on Sept. 1. Invites like these show up two or three times a year, and it’s always a puzzle wrapped in a cryptic bow of noninformation. Such is the case with the most recent one, which shows a picture of an Apple-branded guitar. So what could it mean? Is Apple going to start selling wooden guitars? Will Steven P. Jobs, Apple’s chief executive, stand up on stage and announce the long awaited iGuitar? I’m going to go out on a limb here and say it: probably not. But what could Apple be readying? Really, though, what makes the Kindle so successful isn’t what Amazon added to it; it’s what Amazon subtracted: size, weight and price. Nook’s two-screen setup makes it fussy and complicated. Sony’s additional screen layers make the E Ink less sharp. In the meantime, certain facts are unassailable: that the new Kindle offers the best E Ink screen, the fastest page turns, the smallest, lightest, thinnest body and the lowest price tag of any e-reader. It’s also the most refined and comfortable. A real estate broker sought to bury a negative review that a client posted online after a home buying experience. A banking executive looked to de-emphasize content from Google search results about a convict who shared his name. A woman new to the dating scene wanted to remove some painful references to her online divorce records. All three were in need of an Internet reputation manager, someone who could help save their online reputation by cleaning up undesirable digital footprints. Oracle has replaced Microsoft as the FOSS community’s number one enemy, according to Adobe System’s open source boss. 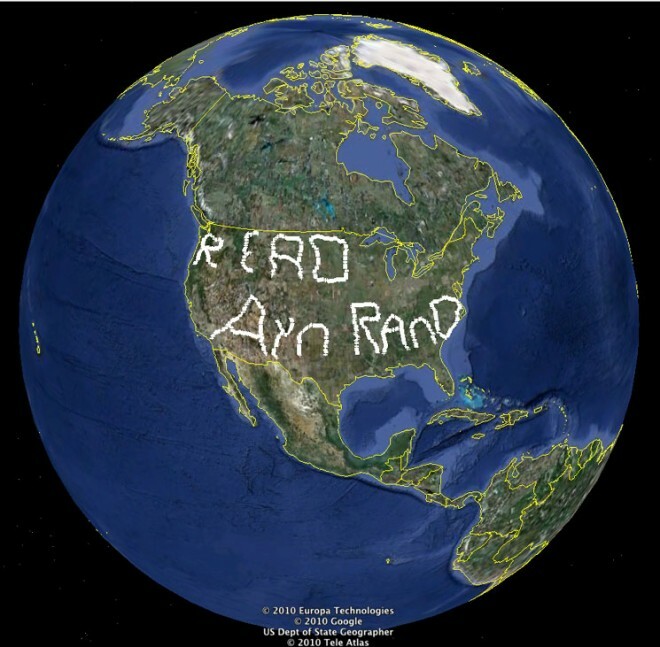 David McAllister, the Flash and Photoshop maker’s open source and standards director, said in a blog post yesterday that the implosion of the OpenSolaris Governing Board highlighted how “the axis of evil has shifted south about 850 miles or so”. Last year, Oracle jolted the tech industry by moving into hardware with its purchase of Sun — although judging by its recent lawsuit against Google over Java, it’s clear Oracle was after more than hardware. (See ‘Mo Money Mo Problems’ for Google.) The Redwood City-based company is quite acquisitive, so much so that there is a live poll going on at the Software Advice site, a speculation session that tries to predict which company is next on CEO Larry Ellison’s shopping list. Among the intriguing possibilities: Research in Motion, maker of the BlackBerry. Why didn’t this happen 10 – 15 years ago? Google Buzz went live in early February with visions of combining a stream of updates from services like Twitter with the engagement of services like Facebook or Friendfeed, giving Google a foothold in social media. Ever since Google said in February that "tens of millions of people have checked Buzz out" Google has consistently refused to state how many people are actively using Google Buzz, and it's still unwilling to reveal that number. Laporte's experience, however, shows that the actual number of users itself isn't necessarily as important as the degree to which those users are engaged with the service. Social-media fans have a variety of outlets through which to share thoughts, links, and discussions, but there's only so much time even the most obsessed can spend on any one particular service, and people are likely to stick with the ones that generate the most attention for their musings. That's not good news for Google as it tries to make Buzz relevant in a world where Facebook has 500 million users and Twitter has over 100 million. Facebook Inc., owner of the world’s largest social-networking website, said it deleted two accounts that purported to be from North Korea. The Bing group can’t afford to be Windows partisans, however. Even if Windows Phones are wildly successful, almost no one in the technology and wireless industries believes a single company will dominate the technology behind cellphones the way Microsoft has in PC operating systems. To the extent that Microsoft wants Bing to become a viable alternative to Google on mobile phones, it has to embrace other major mobile phones, even if it doesn’t help their own mobile operating system. “It’s all about building a great service and making it as broadly available as possible,” says Microsoft’s Sohn. 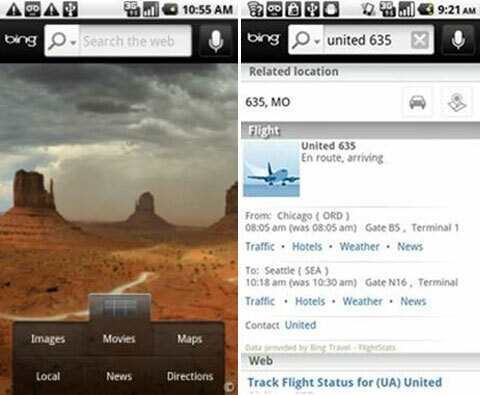 Bing’s next move: a Bing app for Android, Google’s mobile phone operating system, due out in the next few months. But broadcasters are worried about Google gaining too much control over online video advertising. The company continues to advocate an advertising auction model that's been successful in its core search business. That makes perfect sense for a manufacturer selling digital cameras, but it would be disruptive for network ad sales, where prime-time hits are bundled with other less-popular shows so that the winners pay for the losers. Google needs the cooperation of the programming community to improve the overall accuracy of its video search. Right now, Google TV isn't very effective in correctly identifying TV shows. The company has applied for a patent, titled "Systems and Methods for Identifying Unauthorized Users of an Electronic Device," that covers a series of security measures to automatically protect devices from thieves and other "unauthorized users." Unauthorized users apparently applies to those who engage in jailbreaking, which allows devices to run apps not approved by the company producing the operating system--such as Apple, the main target of such bypasses. Strip away the headline hyperbole of the “death of” predictions, they note, and what remains is mainly commentary on the impact of the accelerated pace of change and accumulated innovations in the Internet-era media and communications environment. A result has been a proliferation of digital media forms and fast-shifting patterns of media consumption. Research presented last week at the annual meeting of the American Sociological Association found that 22 percent of heterosexual couples surveyed met online, and researchers believe the Web could soon eclipse friends as the primary means of finding mates. As dating interactions have moved from the privacy of bars and social gatherings to the digital world of websites and e-mails, they are generating an unprecedented trove of data about how the initial phases of romance unfold. Online profiles contain detailed personal and demographic information about website users, and their interactions are indelibly recorded in digital form. Google has snapped up Like.com, the start-up announced Friday, as Google puts its product-shopping search strategy on the front burner. Techcrunch, which reported a deal was in progress earlier in the week, said the official deal could be for as much as $100 million. "We were the first to bring visual search to shopping, the first to build an automated cross-matching system for clothing, and more. We see joining Google as a way to supersize our vision and supercharge our passion," said Munjal Shah, co-founder and CEO, in a statement posted on Like.com's home page. Mr. Kirkpatrick, whose book, “The Facebook Effect,” is a reported account of the company’s history, says much of the film, including many of the details of Mr. Zuckerberg’s personal life, are made up and “horrifically unfair.” He said that Facebook might be forced to deliver a forceful rebuttal once the film has its premiere, especially if it turned out to be a hit. “They are going to try to ignore it but are going to be unable to,” he said. The announcement, analysts say, is another example of how China seeks to marshal resources and tackle industries and new markets. The plan also underlines what China describes as its growing commitment to fight pollution and cut carbon emissions. According to some reports by state-run media, Beijing intends to invest nearly $15 billion in the venture. If true, that would be one of the world's most ambitious attempts to develop more energy-efficient vehicles. The rollout of Facebook Places follows the launch of Google Places in April. Google Places, building on prior Google business listings, offers up Web pages dedicated to individual businesses, showing where they are located, street-level images, and customer reviews of services or products, be it Joe's Pizza or the dry cleaner. Businesses can also advertise through their Google Place pages. With these location services, both Google and Facebook are attempting to organize and provide information about any location, including schools, parks, and tens of millions of local businesses. And both want businesses to advertise online and potentially target ads in real-time to users of mobile devices, right where they are. RIM, based in Waterloo, Ontario, is racing to introduce its tablet as rivals debut similar devices that fill the gap between smartphones and laptops. By using QNX technology, RIM could take advantage of the independent software developers who create applications for QNX and build on the popularity of its BlackBerry smartphone with corporate customers. OK, I'm not recommending that you turn it off just yet. But this is how things go with Facebook. Places represents another in a series of big changes to how you interact with your friends, family, co-workers, and strangers on the site. It's sure to affect your relationships in amazing and awful ways, most likely both. Given the scope of this initiative, it's not paranoid to think about turning it off. I've got one particular fear about Places: With this system, Facebook becomes the honesty police, a social truth serum that will prevent you from casually lying to your friends, family, and co-workers about where you were, what you were doing, and whom you were with last night. This may sound like a good thing. It's not. And, lo, the era of the sub-$100 e-book reader is finally upon us! Sears (Sears?) has the Sony Reader Pocket Edition PRS-300BC for $99.99 (plus $7 for shipping and sales tax in some states). It's new, not refurbished. In addition to testing Places around town, I paid close attention to its privacy features, to judge how much control Facebook is offering users over who gets to see where they are. My conclusion is that the controls are decent, but could be a bit better. You can control how public your Places information is on Facebook’s privacy settings screen, in the Sharing section. The default for Places is “Friends Only,” unless you expressed a preference to share things with everyone. That’s a good thing, in my view. You can change this to broaden it to, say, friends of friends, or even everyone. Or, you can limit it, so that, for instance, only certain people can see your location, or certain people can’t. Facebook also allows you to bar others from checking you in, and lets you hide yourself from others’ “Here Now” listings, though you can’t customize this latter setting by, say, allowing only some people to know you’re nearby. Users will also be able to tag friends who are with them, and the service will suggest other nearby locations that users may be interested in. Check-ins will be broadcast in status updates that will appear in a variety of places, including the pages of a user’s friends and the Places page for that location. Technologies die violent deaths less often than we think. This is the basic problem with the Chris Anderson-anchored Wired cover story, "The Web is Dead." If you think about technology as a series of waves, each displacing the last, perhaps the rise of mobile apps would lead you to conclude that the browser-based web is a goner. But the browser-based web is not a goner. It's still experiencing substantial growth -- as BoingBoing's Rob Beschizza showed with his excellent recasting of Wired's data -- and that should be one big clue that the technological worldview that says, "The new inevitably destroys the old," is fundamentally flawed. Are you starting to see some upside for Apple? The biggest videophone user base meets the hottest videophone devices. Add the resulting Skype to Facetime gateway as a value-added service of Mobile Me -- Wanna connect to a Skype user? You must buy Mobile Me! -- and you have the thing Skype has always been missing; a solid revenue stream that doesn't depend on POTS termination. Added to which, the Windows Skype installer represents several million more opportunities to fling copies of Safari to Windows users. The bottom line is that the Wired article simultaneously repeats an obvious point — that we’re using more and more apps instead of pointing a browser at a website — and misses an equally obvious point, which is that this evolution has nothing to do with the web being “dead,” or even sickly. The web is healthier than ever. If nothing else, the dramatic growth of Facebook, which most people interact with through their web browser, should help to cement that idea. We may be using specific apps to access specific web-based services, and we may be making less use of all-in-one browsers like Firefox or Safari, but that has little or nothing to do with the web being dead. While Apple Inc., Microsoft Corp. and a range of other companies offer ways to watch some content, like TV shows and movies, over the Web through hardware connected to traditional TVs, Google TV would go further. The Google software aims to play any video that runs anywhere on the Web, from clips on YouTube to full-length TV episodes that media companies distribute on their own sites. That open pipe has some media companies worried that their content will get lost amid a range of Web content, including pirated clips, according to people familiar with the matter. Microsoft says the dedicated group inside of Microsoft Game Studios will develop video games for Windows phones, help outside game publishers and scout out small, independent game makers. Company officials also said to expect Halo Waypoint, Star Wars, Crackdown 2: Project Sunburst, and Guitar Hero 5 to all be available for Windows Phone 7 when the devices launch this fall. Lycos, the search engine and Internet portal, was acquired by online-marketing company Ybrant Digital for $36 million. Ybrant Digital, which is based in India, bought Lycos from South Korea's Daum Communications Corp., which had acquired the Web portal for $95 million in 2004. Lycos developed one of the first crawler-based search engines and was one of the top Web destinations during the Internet bubble. It was acquired in 2000 by Spain's Terra Networks for $12.5 billion in stock. But it was soon eclipsed by Google Inc. and other rivals. North Korea has taken its propaganda war against South Korea and the United States to a new frontier: YouTube and Twitter. In the last month, North Korea has posted a series of video clips on YouTube brimming with satire and vitriol against leaders in South Korea and the United States. A source who is an early Facebook employee (in the low double digits) estimates that about half of the people who joined prior to that employee’s hire date have left the company. Multiple company insiders said that Kevin Colleran, the company’s first ad sales person, is now the longest-tenured Facebooker after Mark Zuckerberg, with others like Chris Hughes, Dustin Moskovitz and Adam D’Angelo having since founded their own startups (Jumo, Asana and Quora, respectively). "We're trying to figure out what the future of search is," Mr. Schmidt acknowledges. "I mean that in a positive way. We're still happy to be in search, believe me. But one idea is that more and more searches are done on your behalf without you needing to type." In “My Darklyng’s” intriguing meta-commentary, there is a certain cross-pollination of what might be considered real life and fiction. Ms. Mechling and Ms. Moser hired a 15-year-old, Hannah Grosman, to be featured in photographs and videos for the character Natalie’s Facebook page. There are real people commenting on Natalie’s page; Hannah uses one of the photos from a photo shoot of herself as Natalie with another actress as the profile picture on her real Facebook page. A video of a kiss at the World Cup was posted on Natalie’s page just minutes before one of Hannah’s real friends posted the same thing. So it is no longer art imitating life, or life imitating art, but the two merging so completely, so inexorably that it would be impossible to disentangle one from the other, rather elegantly making the point that these media, YouTube, Twitter, Facebook, all this doodling in the ether, involve wholesale inventions of self, not projections. So why does anything think that the new Windows Mobile can compete against the BlackBerry? Well, the fact that Microsoft is already such a strong corporate player gives it an advantage that Apple and Google currently do not have. Mix in an improved user interface, better Microsoft Exchange and SharePoint functionality and the fact that Microsoft has muscle to throw behind its products. The result? Companies might want to consider it as an alternative to BlackBerrys. Historically, Google’s infatuation with Open as a brand name has had its challenges in resolving the conflict between standards and speed to market. A minor false note was struck early when Gmail sprouted video chat on top of its Gtalk/Chat product, using some code that looked suspiciously like a Flash container (just right click the video frame to see what I mean.) More recently, the language around Flash at this year’s Google I/O announcements redefined Flash as open by its role in giving users a choice. It might have made an interesting exercise to ask the Ovangelists what they thought of the newspeak, but the Apple/Google falling out seemed to trump the usual hippie language of yore. Nothing, however, prepared us for the Google Verizon putsch of recent days, where Google made it clear that the FCC had better crawl back into its cave before Eric and the boys get really mad. For those of us who used to refer to the commission as the F-CC in the good old days when Nixon used it to cow CBS away from its antiwar coverage, it’s astonishing to feel sorry for the agency. But a monster carrier and a run-away search monopoly will do that for you. H.P. says its board should be applauded for not letting Mr. Hurd off the hook. But this is just after-the-fact spin. In fact, the directors should be called out for acting like the cowards they are. Mr. Hurd’s supposed peccadilloes were a smoke screen for the real reason they got rid of an executive they didn’t trust and employees didn’t like. The stand-up thing would have been to fire Mr. Hurd on the altogether legitimate grounds that the directors didn’t have faith in his leadership. But of course Wall Street would have had a conniption if the board had taken such a step. So instead, it ginned up a tabloid-ready scandal that only serves to bring shame, once again, on the H.P. board. "It's something that developers perceive as a threat to the potential health of the Java ecosystem," said Mik Kersten, chief executive of Tasktop Technologies Inc., a maker of task-management software for developers that is based on Java. One of the most prominent Java backers is International Business Machines Corp. By controlling Java, Mr. Ellison "controls IBM's oxygen supply…and everybody in this world understands there will be a big dust-up between Oracle and IBM," said Eben Moglen, director of a non-profit called Software Freedom Law Center that gets funding from both Oracle and Google. IBM will pay $21 a share for Unica, a hefty premium over its Thursday closing price of $9.55. News of the acquisition sent Unica stock up 118 percent to close at $20.84 on the Nasdaq stock exchange yesterday. IBM shares were down 43 cents to close at $127.87 on the New York Stock Exchange. Yesterday’s deal is one of many recent IBM deals. The company has spent $20 billion on acquisitions since Samuel J. Palmisano became chief executive eight years ago and apparently has no intention of slowing. Palmisano recently said IBM will dole out another $20 billion over the next five years to buy businesses. I would like to think that this is going to be solved with a quick settlement where Oracle will shake Google for a few billion dollars and the entire matter will be put behind. Oracle will likely want to settle with Google under terms that will only cover Google's own use as they want to go shaking other OEM trees for more cash. An unlikely scenario is for Google to pay the bills for all Android OEMs as they are coming out fast and strong from every corner of the world. It occurred to me that Oracle could sell all the Java assets for Google. But Google probably passed on this opportunity back when Sun was put on the market. Google could settle current damages with Oracle, and switch to the better designed, more pleasant to use, and more open .NET platform. Not a joke – see the link below for more context-setting. The Xbox 360 registered 443,000 units sold for the month -- more than double its total of 203,000 in the same month last year. By comparison last month, the totals were 254,000 for the Wii and 215,000 for the PlayStation 3, based on early numbers released to NPD clients. Gamers appear to be embracing the revamped hardware and, in some cases, switching to the Xbox 360 in advance of the release of Microsoft's Kinect motion-based control system later this year, said David Dennis, a Microsoft spokesman. He called it a "pretty awesome month" for Xbox 360 sales. Here Google is playing the kind of semantic gymnastics that lobbyists deploy so well. In a world where corporate interests (and sometimes their actual lobbyists) write legislation, Google isn’t merely an interested party proposing an idea for network neutrality; it’s a powerful influencer suggesting to overworked and under-informed legislative aids how laws should be written. Unless the FCC takes back control of this process, or Congress stymies any legislative effort because its members are reluctant to touch a hot-button issue during a mid-term election year, Google and Verizon’s compromise will influence policy in a way that common citizens cannot. Ironically, Google may have thrown its reputation under the bus with this whole effort, only to see Congress stand by and do nothing because of the coming mid-term elections. Or perhaps Congress will take the framework and bastardize it to an extent that Google will rue the day it tried to move the ball forward on net neutrality at all. Politics are messy, and Google is learning this firsthand. Small world. See the link below for the full Oracle complaint. Of course, Java has been forked and fragmented many times over the years, destroying the "write once run anywhere" promise of the technology with different implementations on different computing platforms. Still, Oracle, on behalf of Sun, is arguing that Java is a mobile operating system competitor against Android, and that Google is using Java-derived technologies without a proper license. Oracle also noted the interlocking history between Google and Java in its complaint, noting that "Google has been aware of Sun's patent portfolio, including the patents at issue, since the middle of this decade, when Google hired certain former Sun Java engineers." Google CEO Eric Schmidt led the team that developed Java at Sun prior to becoming CEO of Novell, and later Google in 2001. Urs Hölzle, senior vice president of operations and a Google Fellow, also played a significant role in Java's development in the 1990s, and apparently other Sun engineers have joined Google in the intervening years. The popularity of Android, and the increasing competition in the smartphone market, has prompted other patent-infringement suits over the operating system. Apple has claimed that HTC’s Android-run phones are infringing its patents and is seeking to block imports of the phones into the U.S.
Microsoft Corp., the world’s biggest software maker and owner of the Windows Mobile operating system, said in April that the Android system may infringe its patents. Microsoft, which signed a licensing agreement with HTC, said at the time it was in talks with other makers of phones that run on Android. Oracle and Google will probably settle the case by agreeing to license each other’s patents, IDC’s Stofega said. The suit represents a sweeping shot at the current, much admired and often resented, king of Silicon Valley by Oracle's swashbuckling chief executive who has thrived even while alienating many with his aggressive acquisitiveness and push to portray himself as an outsider. The move creates a confrontation between Oracle CEO Larry Ellison, whose company dominates in business software, and Google's Eric Schmidt, a former Sun chief technology officer who spread Sun's open software message at Google. Apps in Windows Phone 7 make it easy to explore and experience information thanks to two similar navigation controls: panorama and pivot controls. We’ve made it easy for developers to build applications with these experiences by putting these Silverlight controls and associated tooling in the next release of the free developer tools (didn’t make the beta). The controls are simple & easy to use, but I’ve seen enough rumbling on forums to know that developers are anxious to learn more about their capabilities. In lieu of bits, I’m going to introduce these controls and how they appear from a simple API & XAML perspective, so that you’ll have what you need while planning your apps to know how these experiences can fit into your apps. The library doesn’t separate e-book seekers from other website visitors, but when coupled with the number of questions the library is receiving about digital files, it’s clear interest in e-books is on the rise, Kavanagh said. Digital books, newspapers and magazines can be downloaded onto personal devices or computers directly from the library’s website, and when they need to be returned, the file automatically disappears, eliminating the potential for late fees or lost materials. A library card and a device to read the book are all that’s required to access the virtual library. Reduced technology spending by big companies around the globe led Cisco Systems, the world’s largest maker of networking equipment, to miss analyst expectations as it reported fourth quarter and annual results. Shares in the bellwether tech group fell more than 8 per cent in after-hours trading. Google defended its position saying: “We know not everyone will like all aspects of this proposal, that’s the nature of compromise. But one thing you can’t dispute is this would lock in protections for consumers.” Facebook said it objected to any plan that exempted wireless networks from net neutrality rules. Amazon said that while “network operators should be allowed to offer additional services, we are concerned that this proposal appears to condone services that could harm consumer internet access”. While the Facebook/Google rivalry is great headline fodder, it’s not clear that Facebook officially disagrees with the Google/Verizon proposal; see, e.g., the Facebook qualification in this CNet article (which has a similar title but notes “Noyes clarified to CNET via e-mail that it's reasserting Facebook's existing stance on Net neutrality and that the statement should not be considered specific to the Google-Verizon framework”). What is clear from the NYT article: a former Facebook employee who is now a venture capitalist takes issue with the proposal, as does Amazon, and eBay doesn’t have an official position yet. As for whether Cisco might lose any top talent as H-P hunts for new leadership, Chambers scoffs. Though there are no employment contracts with non-compete provisions handcuffing Cisco managers, he says, such a move would be against unwritten rules. Final paragraph of Walt Mossbergs’s Streak review. I don’t think Dell will get far with the device, unless it introduces a larger form-factor version soon. Dell sees the Streak as a tablet first, with phone calling as a secondary function. It may well appeal to people for whom the iPad is too large to carry around, yet want some of the tablet experience coupled with a phone. But tweener devices can be hard to love and Streak buyers will have to overlook some of the shortcomings I encountered. The purchase of Slide will boost the company’s social- networking technical knowledge, Schmidt said. The deal follows the acquisition of Aardvark early this year, a search company that includes social features. Even so, Google isn’t trying to create “another Facebook,” he said. Schmidt declined to give specifics on what Slide will do for Google. The company already includes social elements in many services, such as Gmail, Google Docs and its photo site Picasa. Google paid about $200 million for Slide, according to people familiar with the matter. An exaflop is the equivalent of one million trillion calculations per second. Darpa said its research project was needed to help analyse the tidal wave of data that military systems and sensors are expected to produce. The research project, dubbed the Ubiquitous High Performance Computing (UHPC) program, would attempt to create hardware that "overcomes the limitations of current evolutionary approach". There are, of course, complications, which leave the geolocation- and local-services start-up community with plenty of questions about how much of their data they will have to share with Facebook if they tap into the new APIs. And additionally, Facebook's tendency to garner bad press with regard to privacy may make some of them wary of getting involved. But it's likely that they will have little choice. Facebook is the biggest force in the social Web by far, and it's about to be the biggest force in geolocation, too. The people who know of the company’s plans said Lab 126 was fostered inside Amazon with this goal in mind, but until recently the company has focused exclusively on the Kindle e-reading platform. The hits just keep on coming for HP. Hot on the heels of the massive story of HP CEO Mark Hurd’s resignation amid scandal, another high-level person has left the company. Peter Skillman, the Vice President of Design at Palm (which HP officially purchased in July) has left the company, we’ve confirmed. It’s not clear where Skillman is going next, but he had been with Palm for 11 years. And that’s a big blow for HP as Skillman takes with him nearly 20 years of product design experience. At Palm, he was the man in charge of the design of the ill-fated but loved Pre. Talk of an increasing number of users migrating off Notes and Domino is more apt to be gossip at cocktail parties than "hard evidence of anything other than due diligence in the market," according to Brill. In fact, sales of new licenses grew during the second quarter, Brill said. The H-P Board just made the worst personnel decision since the idiots on the Apple board fired Steve Jobs many years ago. That decision nearly destroyed Apple and would have if Steve hadn’t come back and saved them. H-P had a long list of failed CEOs until they hired Mark who has spent the last five years doing a brilliant job reviving H-P to its former greatness. The final insult was when the H-P board going to the press and suggested that Mark Hurd engaged in expense fraud over a few thousand dollars. This is not credible. Mark Hurd, like most other CEOs, does not fill out his own expense reports, so even if errors were made Mark didn’t make them. What the expense fraud claims do reveal is an H-P board desperately grasping at straws in trying to publically explain the unexplainable; how a false sexual harassment claim and some petty expense report errors led to the loss of one of Silicon Valley’s best and most respected leaders. What is unusual about this new reality is that the negotiations that may truly matter are now being conducted not by government officials but by private parties seeking to generate profits and protect market share. While I intend no disrespect to Google, Research In Motion, and their sister companies, it is surely the case that their motives and goals will not necessarily align perfectly with those of our national diplomacy. What to do about this? How can the U.S. government be involved, formally or informally, to ensure the spread of technologies that will foster freedom in other nations? Can our government argue for such protections when the Patriot Act itself permits government encroachments here? Can we create laws that somehow increase the bargaining power of the Googles of the world in their discussions with China?